Prosecution will appeal South Africa’s Pistorius verdict and sentence. 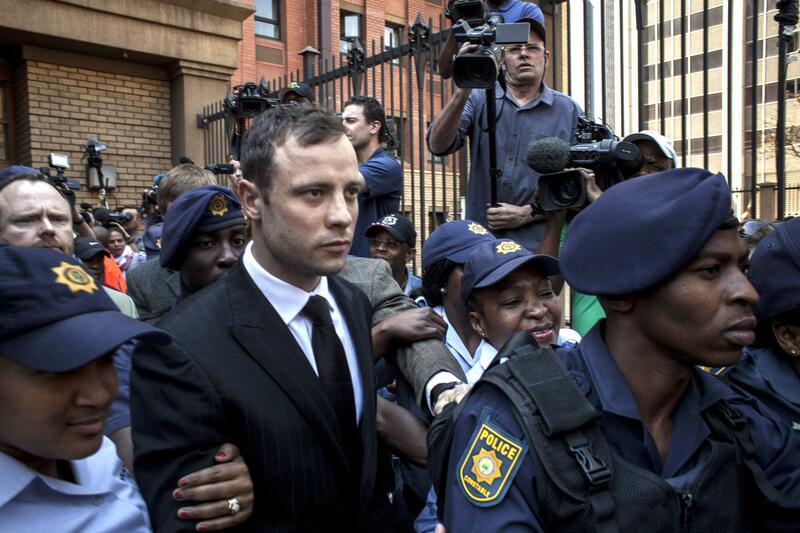 Oscar Pistorius leaves on bail from the North Gauteng High Court in September in Pretoria, South Africa. South African prosecutors, dissatisfied with Oscar Pistorius’ jail term for killing his girlfriend, have pledged to appeal the judge’s ruling and sentence. Pistorius was convicted of culpable homicide for the death of Reeva Steenkamp. The highly publicized trial of the Olympic athlete resulted in a five-year sentence being handed down by Judge Thokozile Masipa earlier this month. Under the terms of the sentence, however, it’s possible that Pistorius could be out of prison in just 10 months and serve the remainder of the sentence under house arrest. The 27-year-old double amputee was acquitted of the more serious charge of murder by Masipa last month. Pistorius shot Steenkamp through the bathroom door in his home, but said he confused her for an intruder. The appeal by the National Prosecuting Authority means Pistorius could face a much longer prison term. The minimum sentence for murder in South Africa is 15 years. “On Monday, the NPA said in a statement its decision to appeal was based on a ‘question of law,’ meaning it believes that Judge Masipa misapplied the law when she acquitted Pistorius of murder,” the Associated Press reports. Pistorius was charged by the prosecution with the pre-meditated murder of Ms Steenkamp, a model and law graduate. He was acquitted of this and the lesser murder charge of dolus eventualis. In South African law, this charge - also known as common-law murder - applies if the accused knew they might kill someone but still went ahead with their course of action. The BBC’s Pumza Fihlani, who followed the athlete’s trial, says the prosecution’s grounds for appeal may lie with how the judge interpreted dolus eventualis. The judge’s critics have argued that dolus eventualis includes the possibility of meaning to kill one person and ending up killing another, our correspondent says. Pistorius began serving his jail term last week, and the runner’s family says they will not appeal the ruling.